What Is the Meaning of Control Valve Cv? A valve uses a mechanism to stop the flow of fluid, gas or air into a chamber. The valve is sometimes the main unit that regulates the amount of liquid or fluid that moves from one chamber to another, or throughout an entire system of pipes, channels or canals. The valve will have a "door" or seal that can open and close, sometimes allowing a small or large amount of liquid or gas through the opening. If the door can be positioned to be partially or fully open, the valve has more flow control capabilities. A valve uses a mechanism to stop the flow of fluid, gas or air into a chamber. The valve is sometimes the main unit that regulates the amount of liquid or fluid that moves from one chamber to another, or throughout an entire system of pipes, channels or canals. The valve will have a "door" or seal that can open and close, sometimes allowing a small or large amount of liquid or gas through the opening. If the door can be positioned to be partially or fully open, the valve has more flow control capabilities. There are hundreds of types of valves that can be used in all different types of applications. 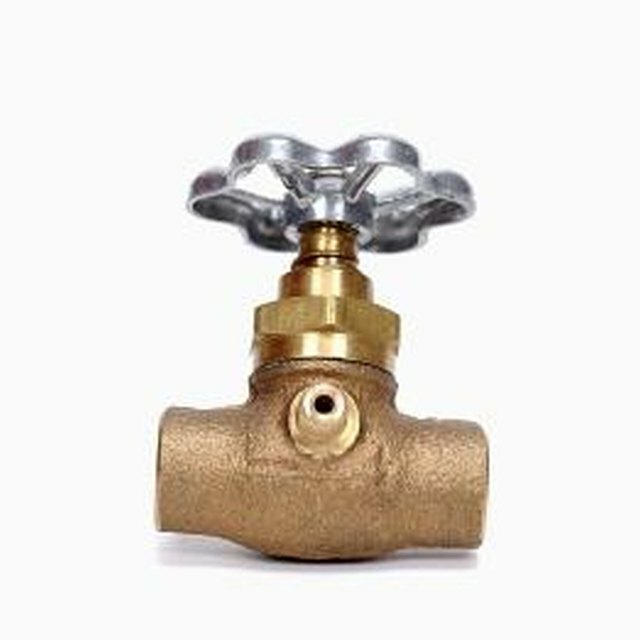 Valves are used in oil rigs, home appliances, gas manufacturing, sewage control and any other liquid transportation industry. There are many varieties and they each work in slightly different ways. Some of the most common types of valves include gate valves which are open/shut valves, which use a "door" or "gate" to close off the valve. A globe valve on the other hand uses a plug that fits into a face to stop fluid flow. You may have heard of the needle valve before. This is a special type of valve. The door is shaped like a needle of cone and it can be lowered into a mirroring hole to seal off a channel. Another valve called the butterfly valve opens and closes different sections of the valve door to allow liquid through. Still more valves combine these different types of valve doors with electrical monitoring components, and computers that control the opening and closing of the valves at the proper moments. How Do Hydraulic Vane Pumps Work?